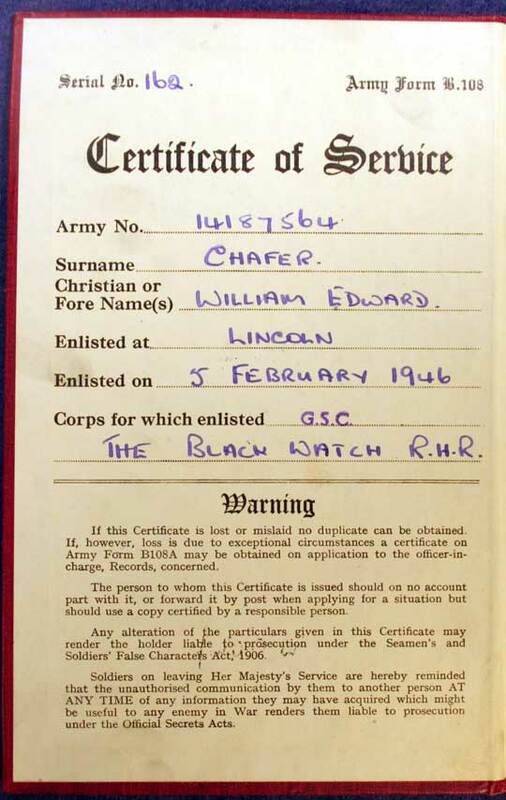 Sergeant William Edward Chafer, number 14187564, who served with the General Service Corps, Black Watch, Lancashire Fusiliers, and the 1st Battalion and Regimental Depot of the King’s Own Royal Regiment between February 1946 and April 1953. 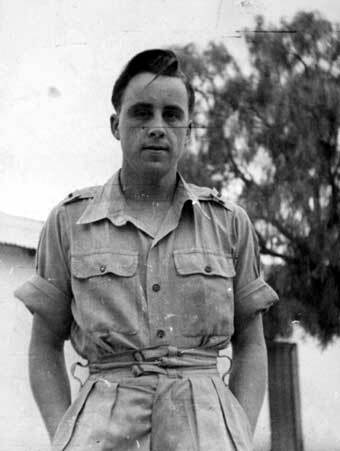 Bill Chafer told his daughter, that he was ‘just a boy’ when he had joined up, and out in India he was surprised to find that he did not need a shave. 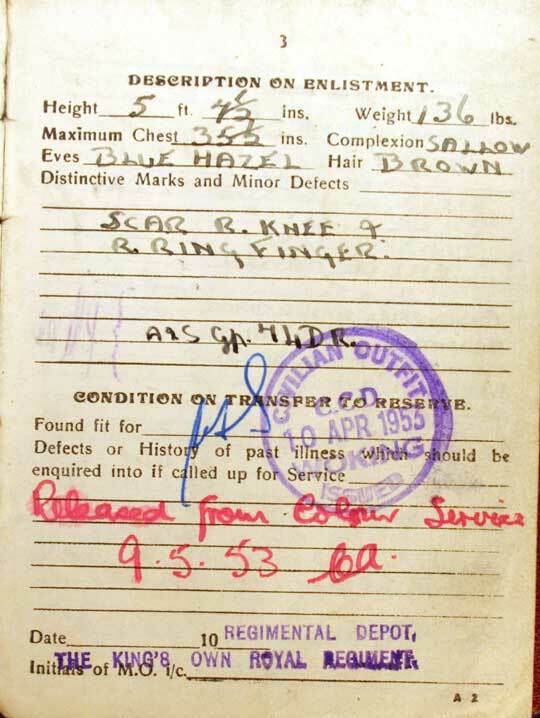 However one night he woke up to find an Indian chap bending over him with a huge knife and grinning – apparently, he had been given a shave every night and had no idea at all! 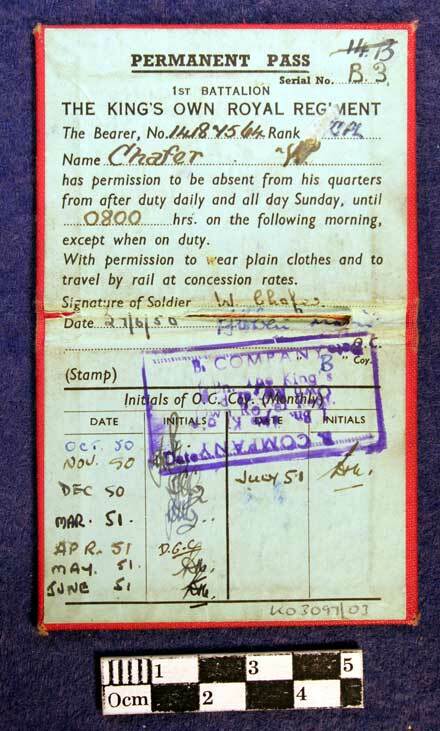 He would say some of the boys would say their names were ‘Peter Pan’ or ‘Donald Duck’ or some such silliness to try to avoid paying up, but the Indians were far too clever for those juvenile tricks and on pay day knew just which soldier owed what. 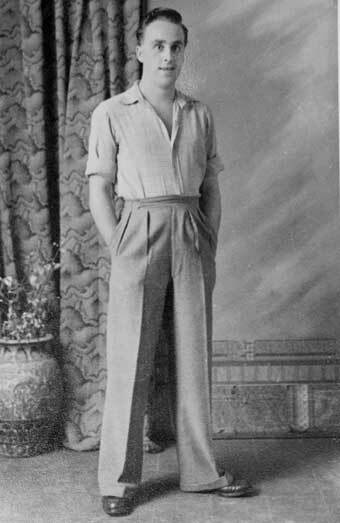 In the Sudan, dad said that he and the other ‘boys’ would have run up one sand dune and down the other for days chasing the local ‘boys’. 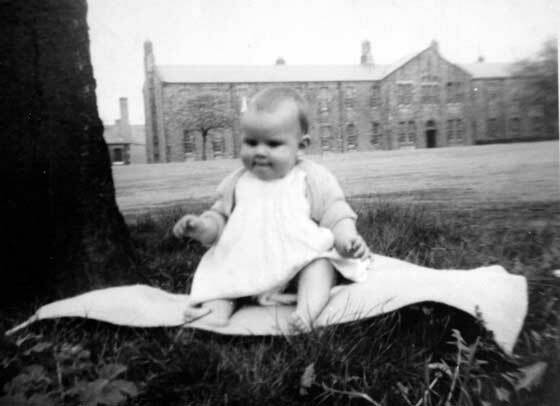 Dad said because everybody was so young it seemed almost like a game. 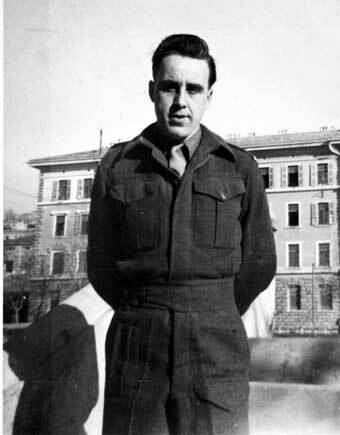 In Austria, Dad can remember sitting cross legged on a troop train holding a rifle as it travelled across country. 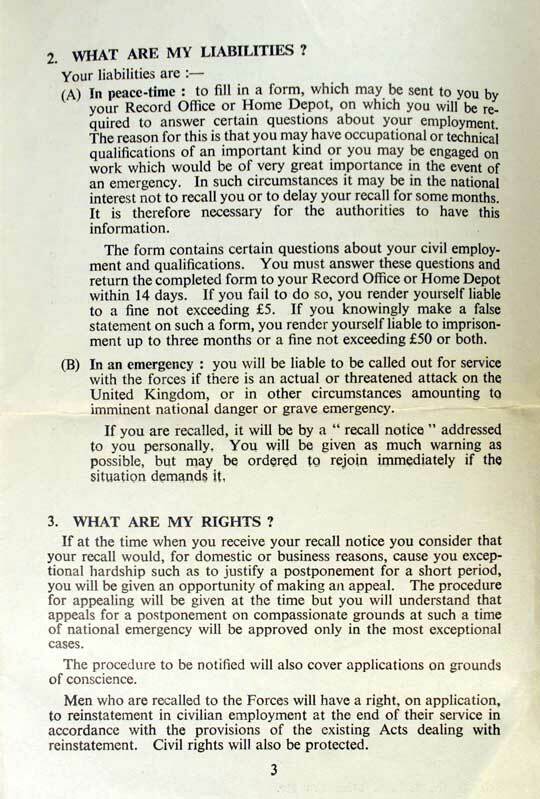 He thought it was fun be I retrospect that it could have been quite a dangerous undertaking, repatriating Germans. 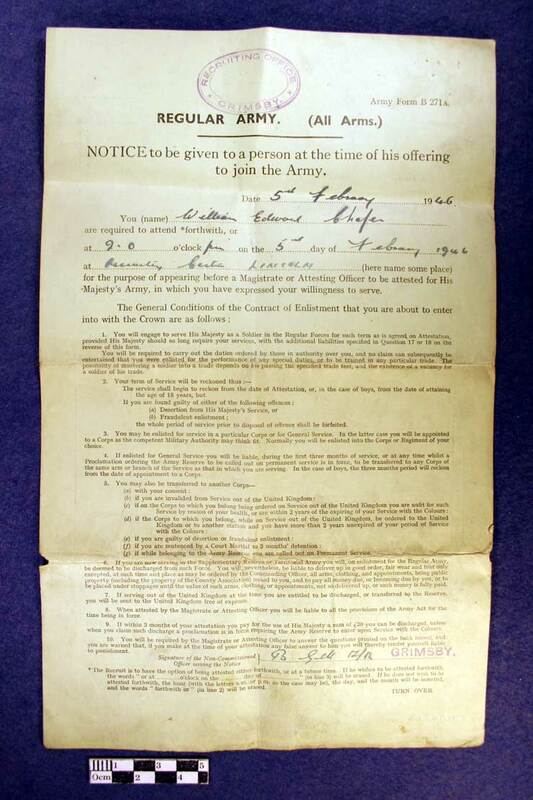 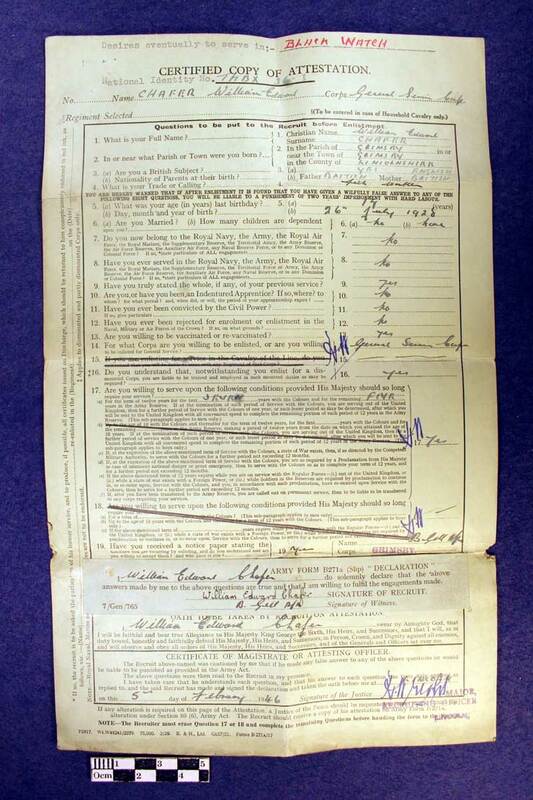 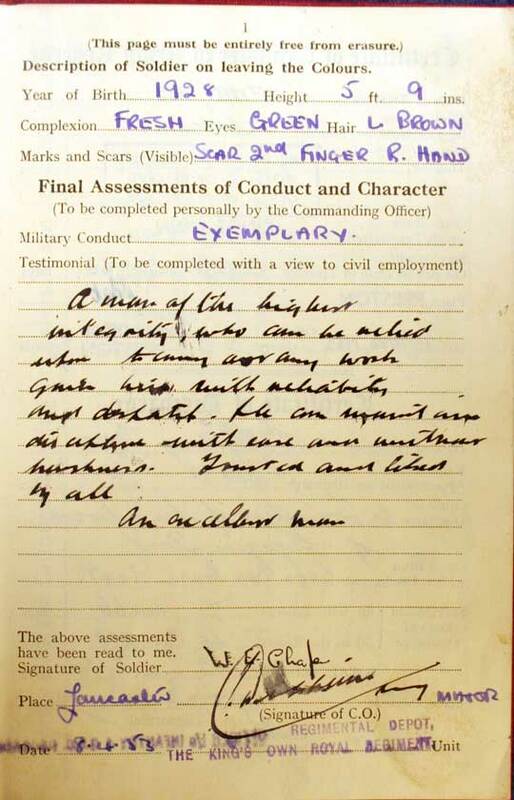 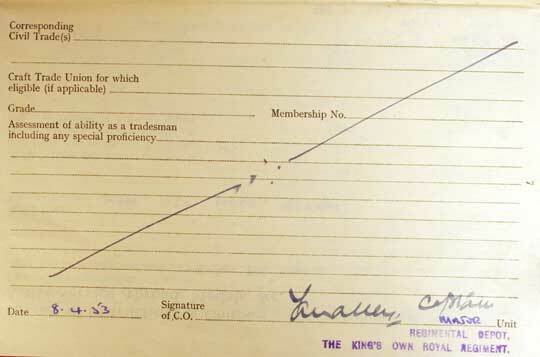 Army Form B108 Certificate of Service to William Edward Chafer, number 14187564, who served with the General Service Corps, Black Watch, Lancashire Fusiliers, and the King’s Own. 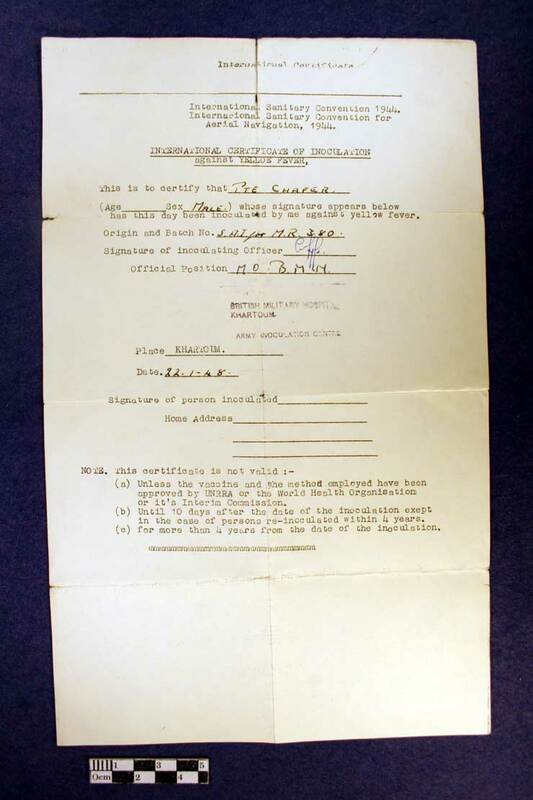 Enlisted on 5 Feb 1946 discharged 8 Apr 1953. 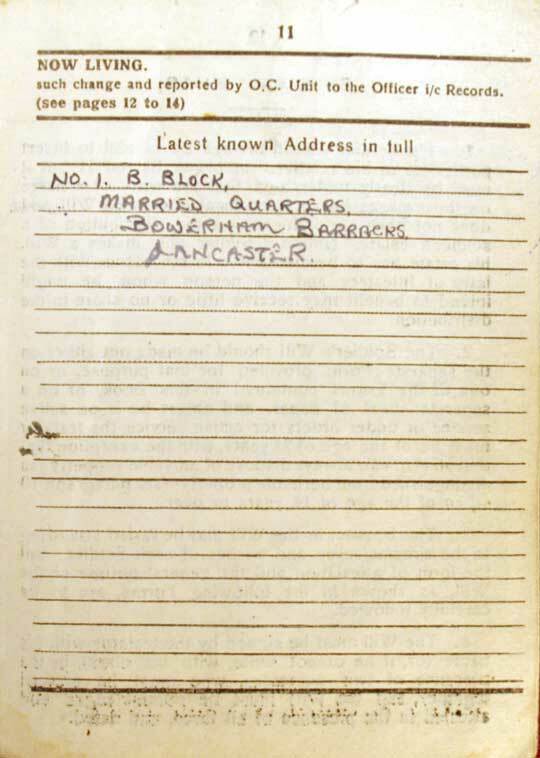 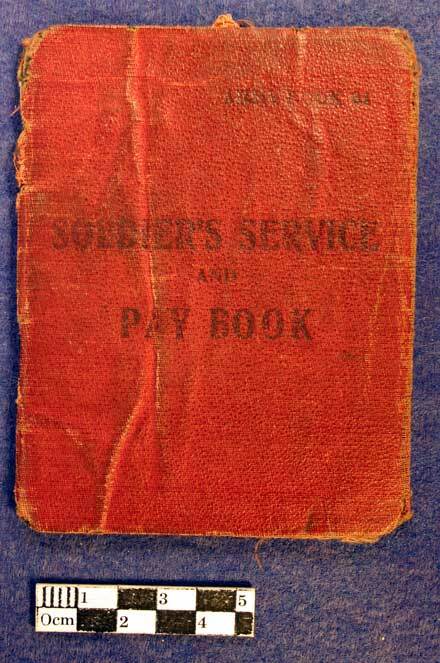 Army Book 64 Soldiers Service Book to William Edward Chafer, number 14187564, General Service Corps, Black Watch, Lancashire Fusiliers, and the King’s Own. 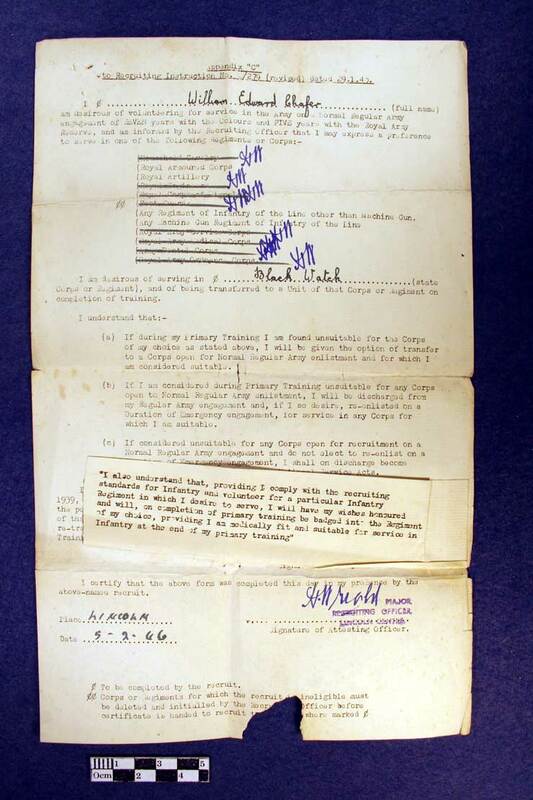 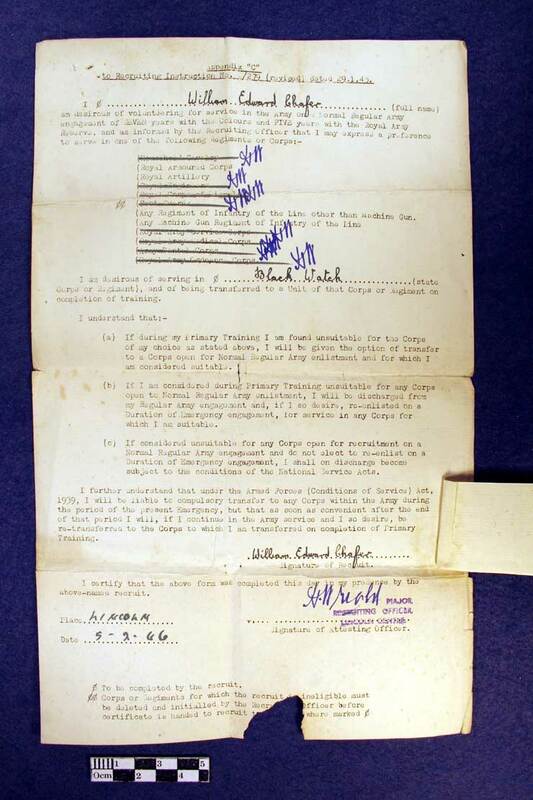 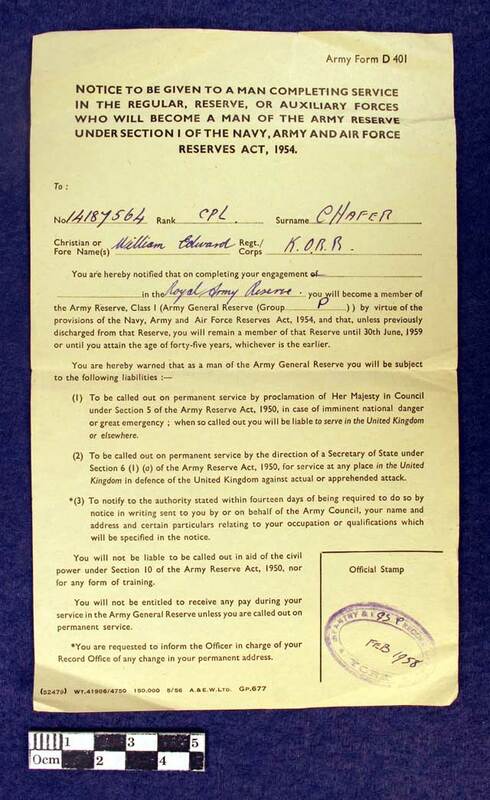 Appendix C to Recruiting Instruction No 279 dated 29 Jan 1945, for William Edward Chafer, to select arms of service and regiments which the soldier wishes to serve with. 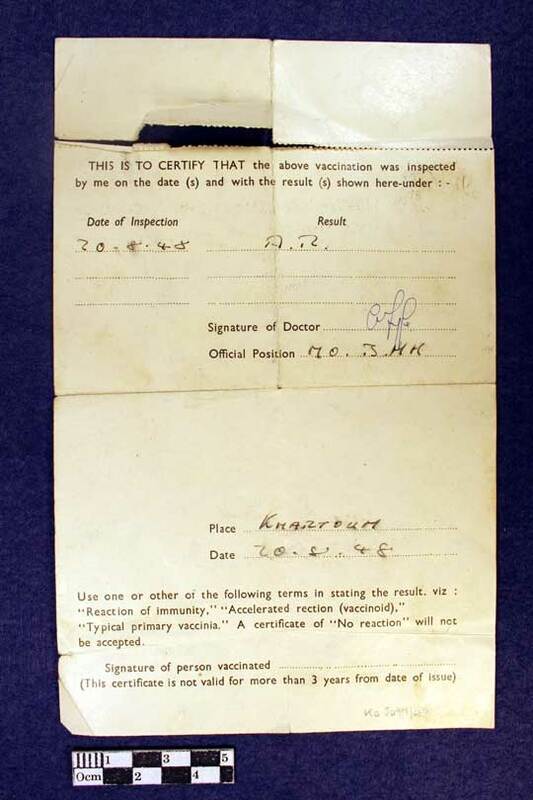 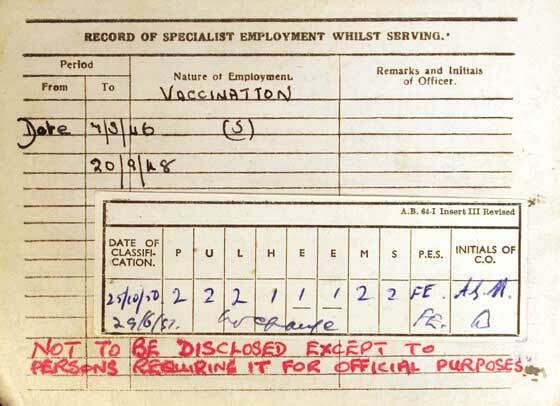 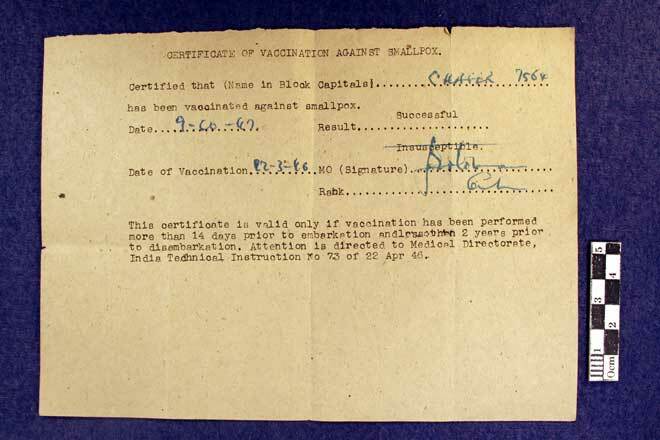 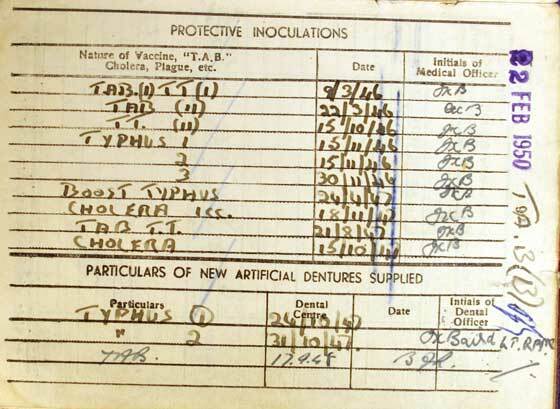 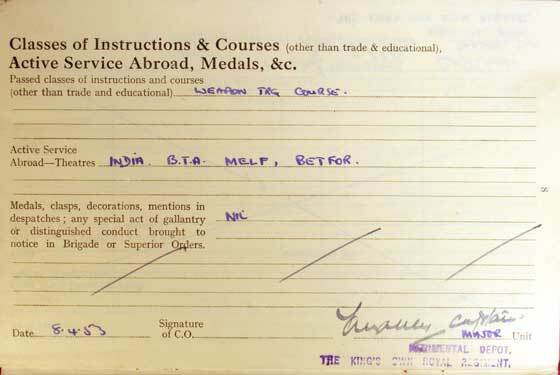 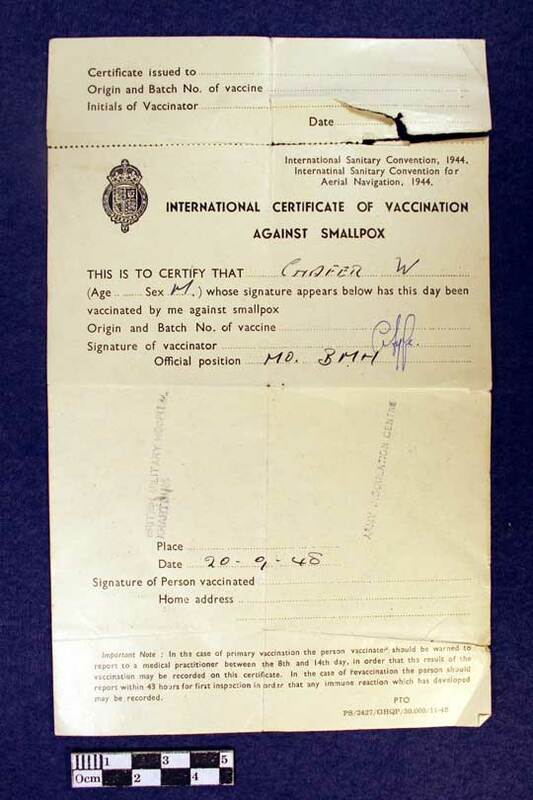 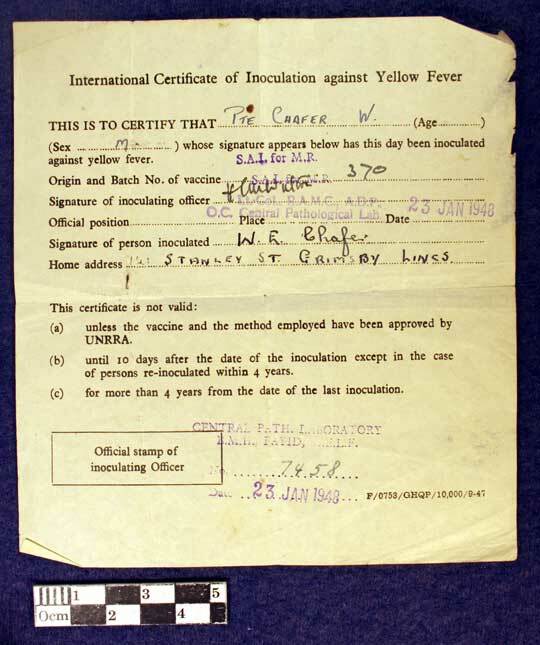 International Certificate of inoculation against yellow fever, for Private W Chafer, dated 22 Jan 1948 at Khartoum. 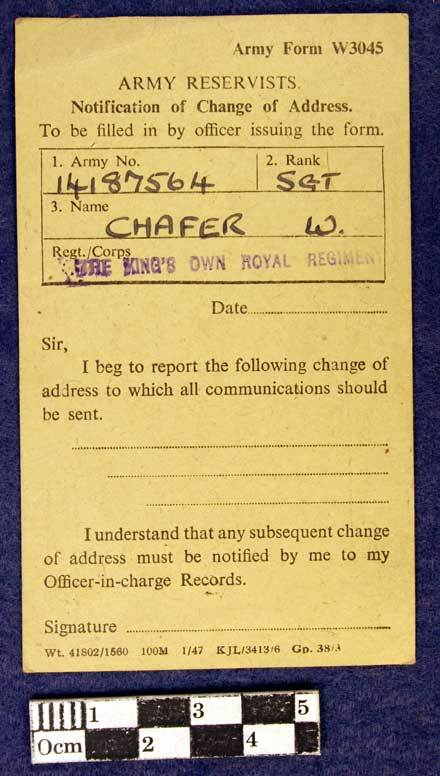 Army Form W3045 Army Reservists Notification of Change of Address, for Sergeant W Chafer, number 14187564, King’s Own Royal Regiment. 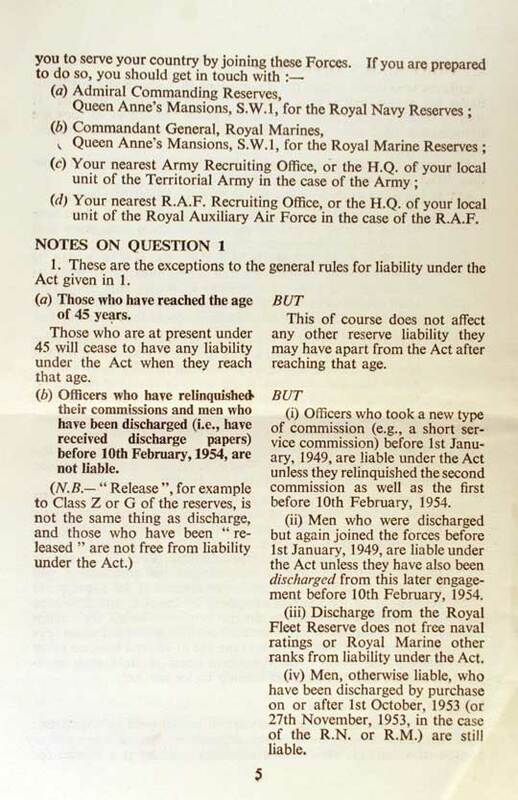 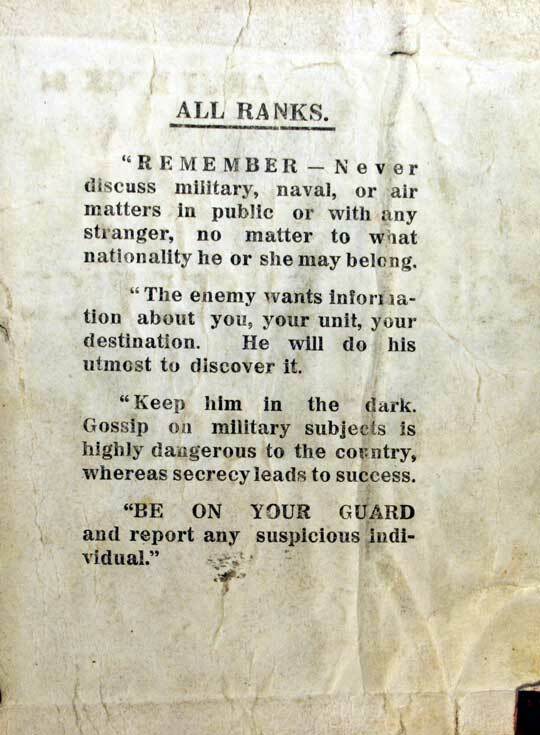 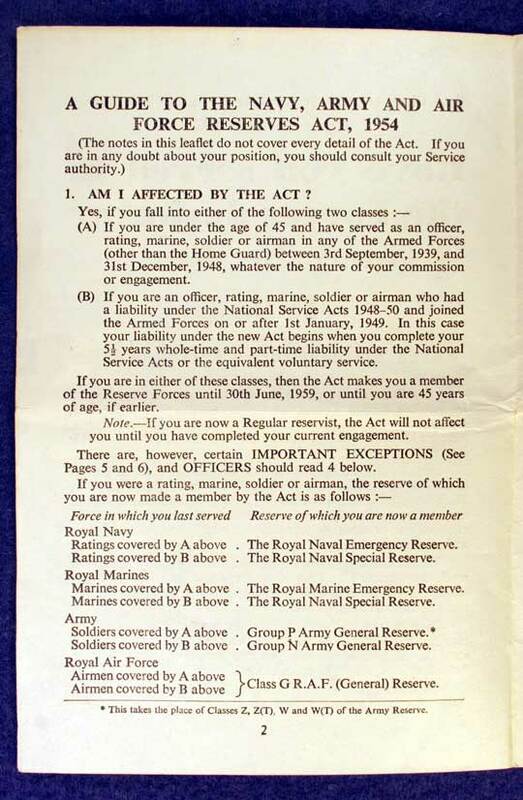 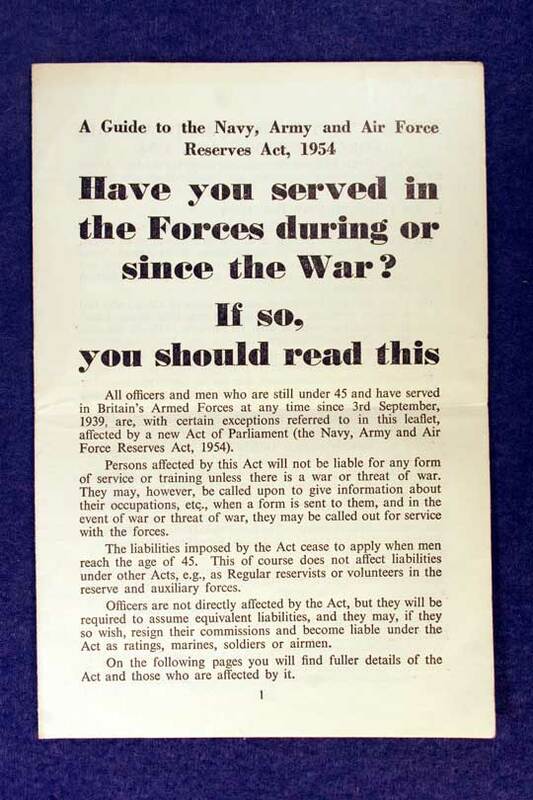 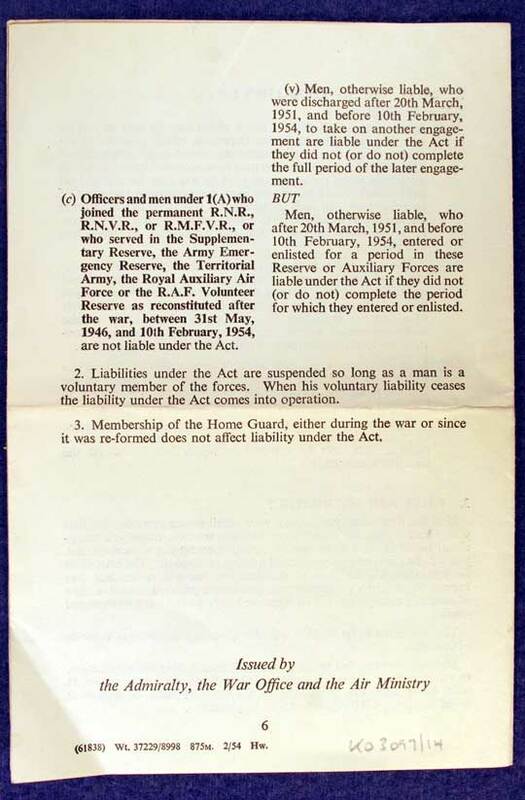 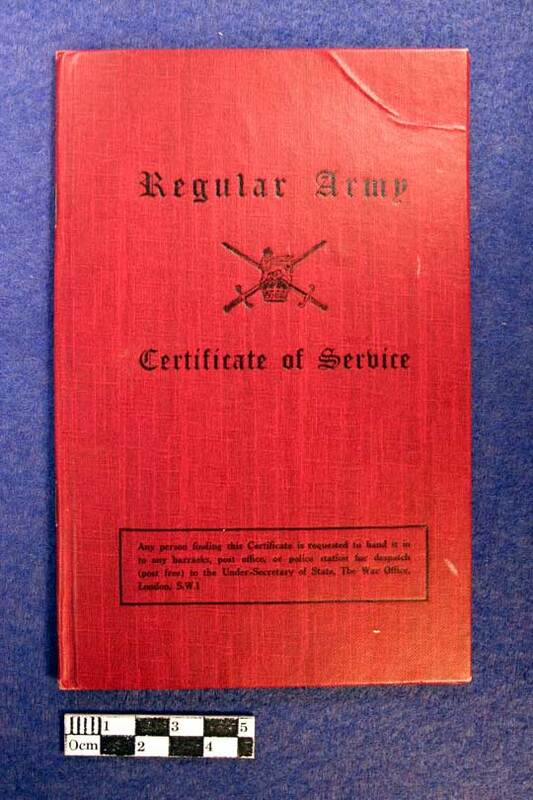 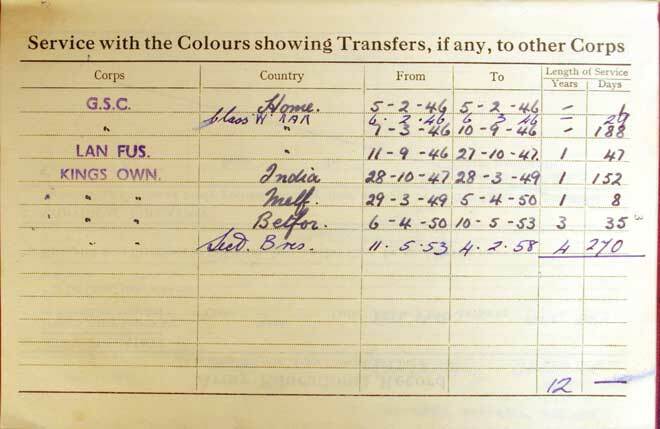 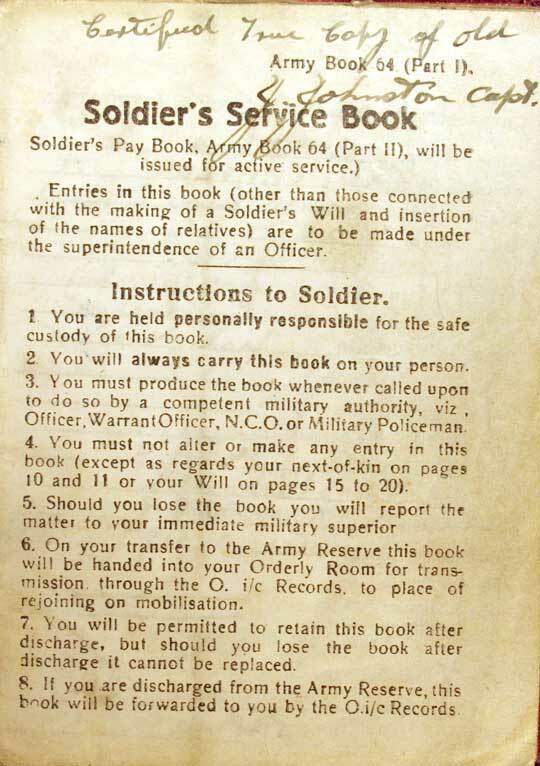 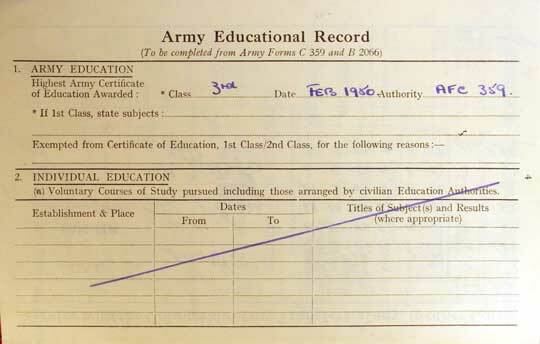 Army Form D401 Notice to be given to a man completing service in the regular, reserve or auxiliary forces who will become a man of the army reserve under section 1 of the Navy, Army and Air Force Reserves Act, 1954. 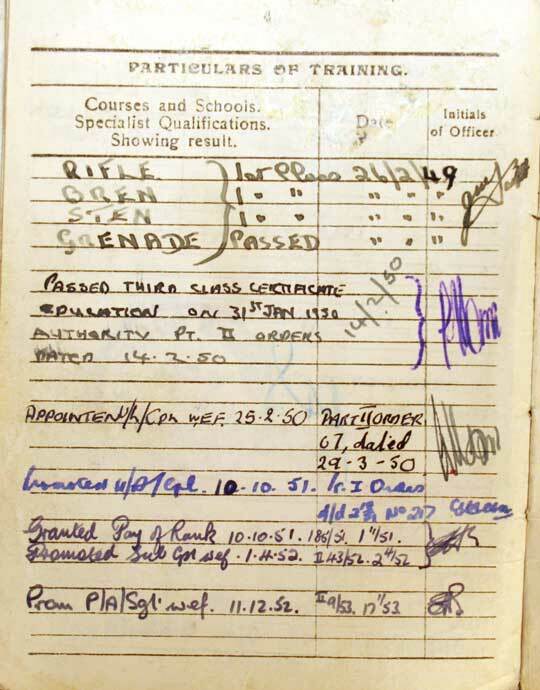 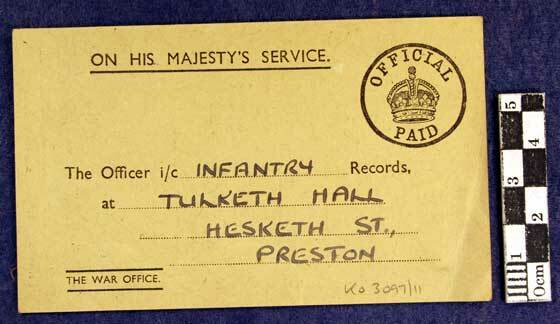 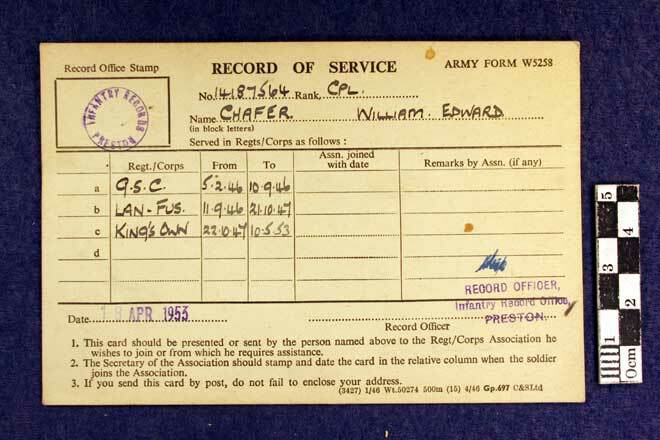 Corporal William Edward Chafer, number 14187564, King’s Own Royal Regiment, dated Feb 1958. 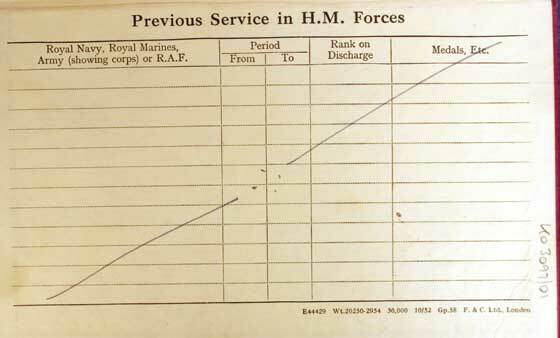 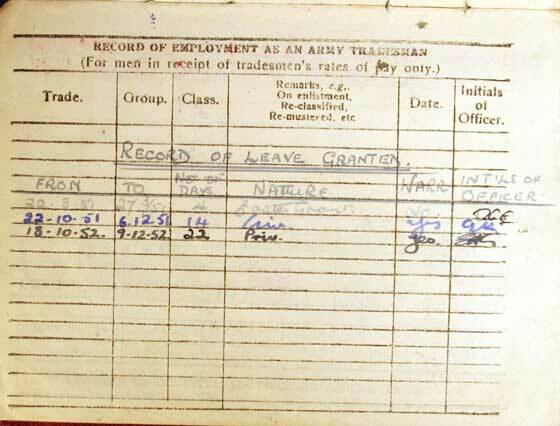 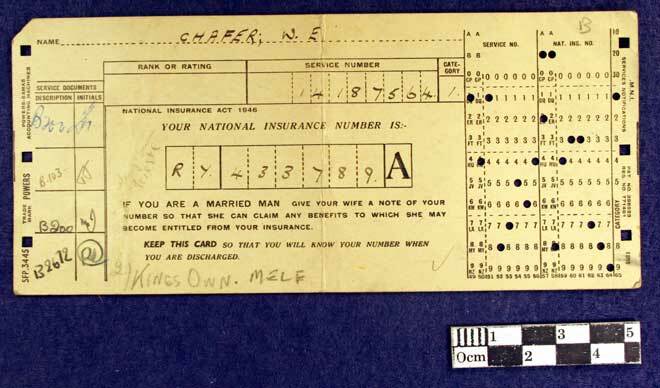 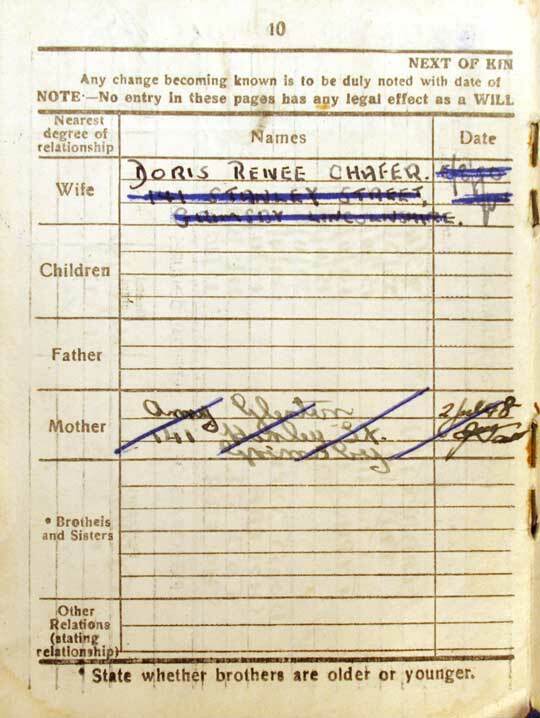 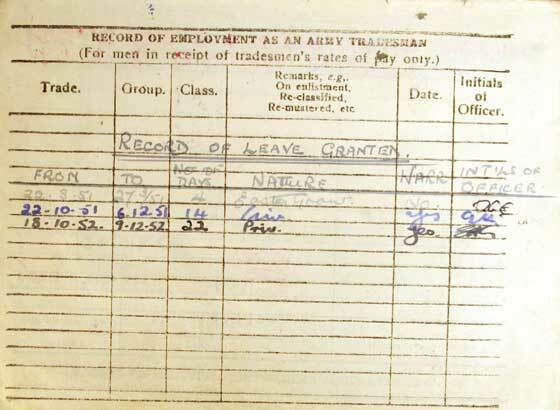 Computer punch card with details of W E Chafer, including service number and National Insurance number. 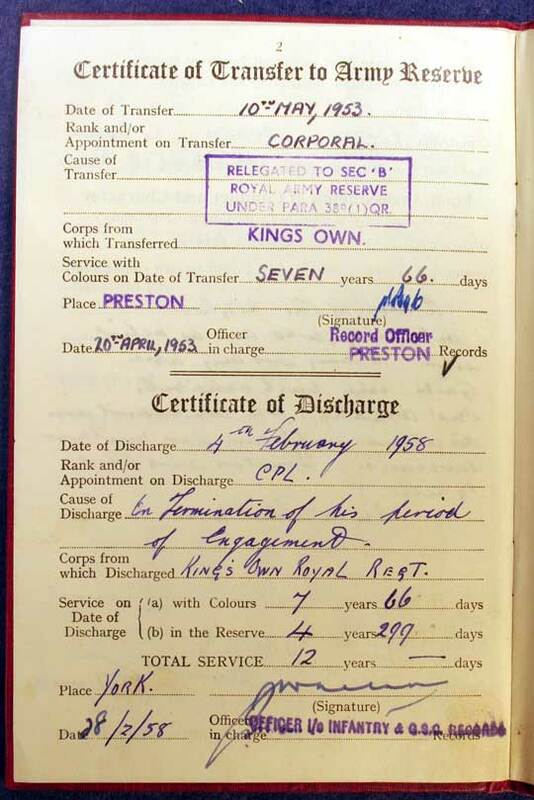 Regimental Depot, King’s Own Royal Regiment, Dec 1951. 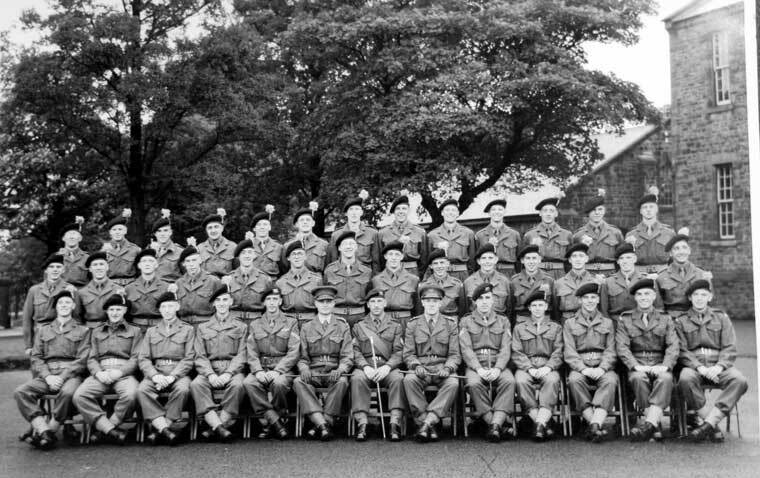 Rear row, left to right: Private D Earnshaw, Private W Ellison, Private T E Gough, Private D Parkinson, Private J Pearson, Private K Leigh, Private T Roscoe, Private F A Todd, Private J Thompson, Private L Fawcett, Private G Getty, Private J Kersey, Private W Broomofield, Private J Mills, Drummer K Greenwood, Private E A Fox. 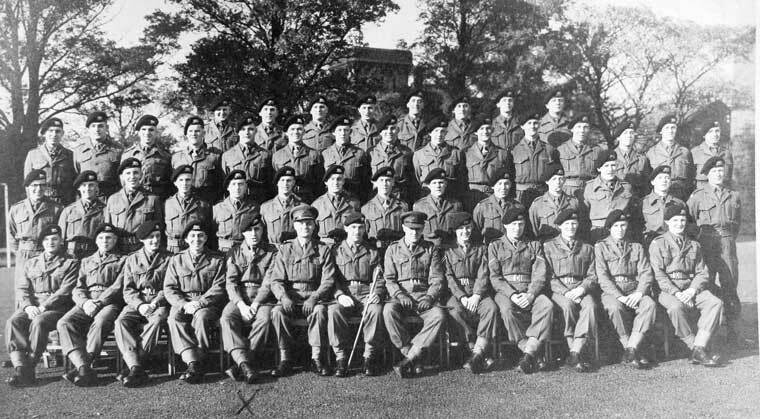 Centre row, left to right: Private G Southward (Army Catering Corps); Private D R Curran, Lance corporal K Clarkson, Lance corporal W Waite, Corporal L Martin, Corporal A Christie, Corporal P J Morris, Corporal D Nelson, Corporal R Moulton, Corporal D Philipson, Corporal N Waters, Corporal P Heaton, Corporal W Chafer, Corporal J Beresford, Corporal W Drury, Lance corporal A Calcuni, Lance corporal J Norris, Private L Jackson (Army Catering Corps). 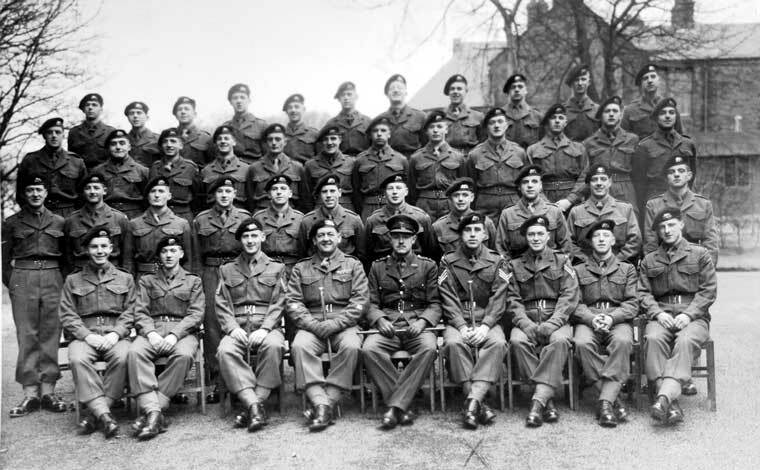 Front row, left to right: Corporal W Hearne (Army Catering Corps), Sergeant G Campbell, Sergeant C Halsall, Sergeant V Mitchell, Senior Staff Instructor T Thompson (Army Physical Training Corps), Lieutenant J D Thorn (Training Officer), WO1 F Revington (Regimental Sergeant Major), Captain D J Martin (Adjutant), Major J B Underwood (Commanding Officer), Major (QM) M Darkes MBE (Quartermaster), Colour Sergeant R A Crane, Lieutenant K G Cain (Platoon Officer), Sergeant E Hearsey (Orderly Room Sergeant), Sergeant E Edwards, Sergeant J Brooks, Corporal G F Hallwood, Corporal H Brennand. 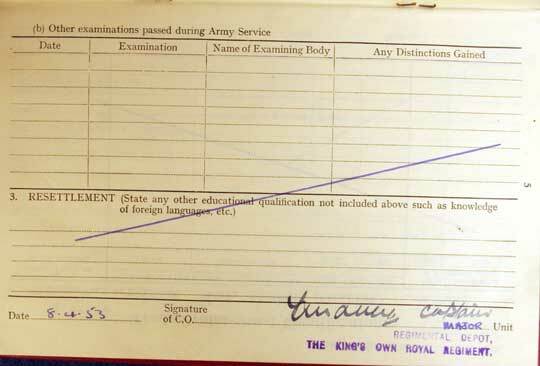 Regimental Depot, King’s Own Royal Regiment, 1951, recruit group. 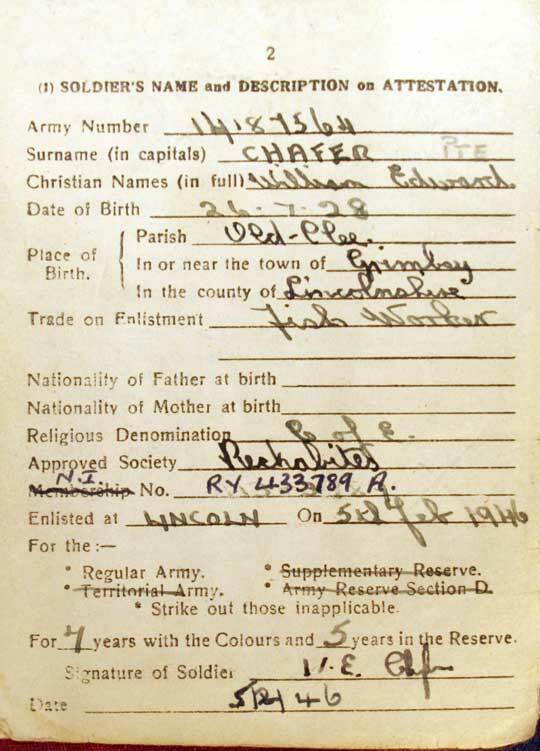 ‘x’ marks Corporal William Edward Chafer. 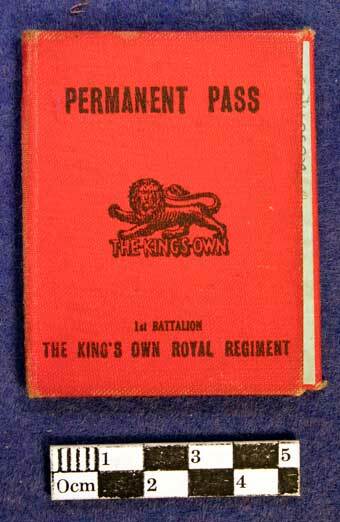 Regimental Depot, King’s Own Royal Regiment, 1952, recruit group. 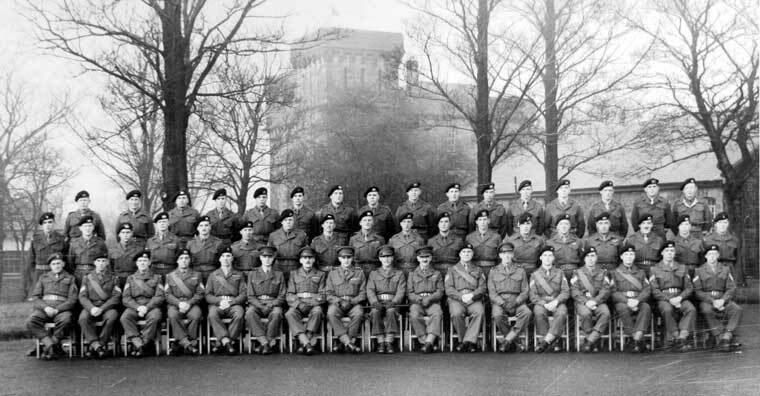 Regimental Depot, King’s Own Royal Regiment, Jan 1953, recruit group. 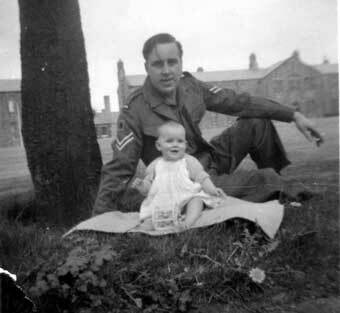 Corporal William Edward Chafer and his daughter Linda, photographed at Bowerham Barracks, Lancaster, 1952 when she was about one year old. 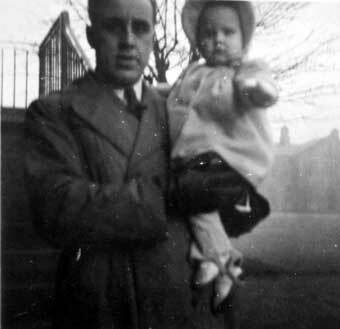 Linda Chafer and her father, Corporal William Edward Chafer, at Bowerham Barracks, Lancaster, 1952. 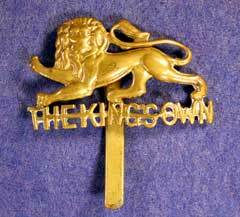 King’s Own Royal Regiment Cap Badge of Sergeant William Edward Chafer, King’s Own Royal Regiment. 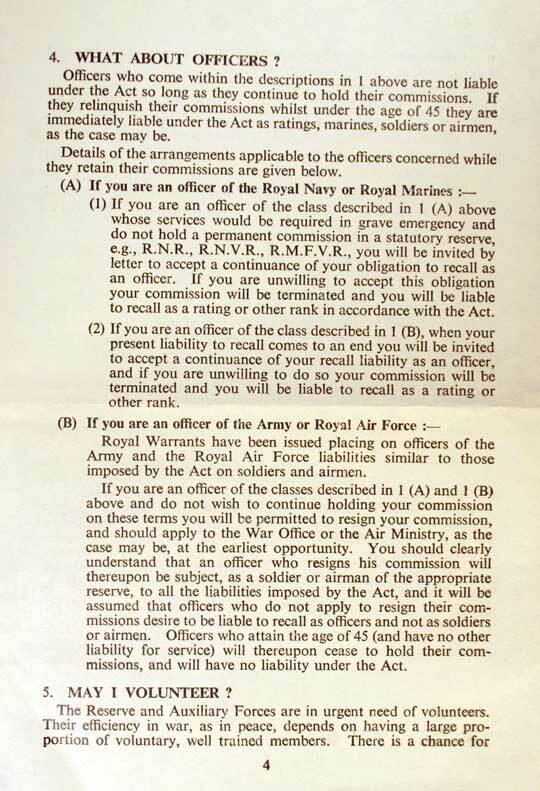 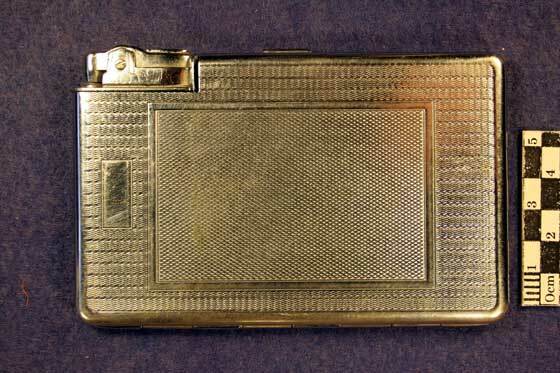 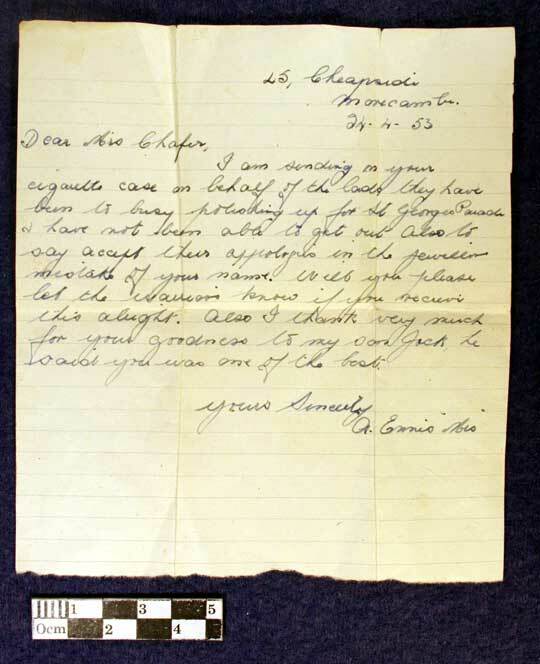 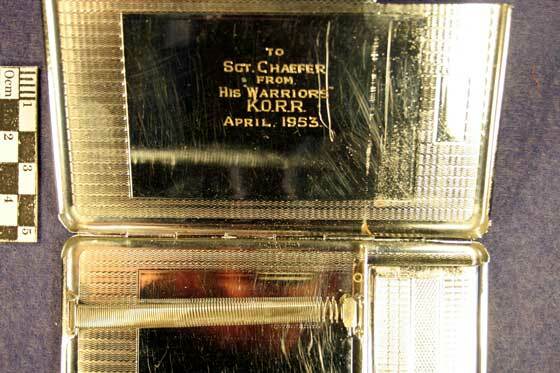 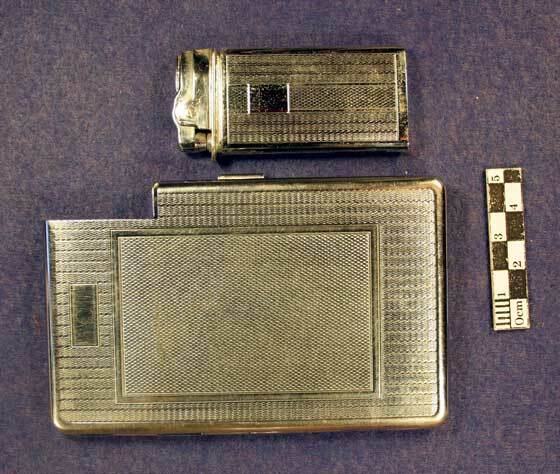 Letter to Sergeant Chafer, dated 24 Apr 1953, sent with the cigarette case and apologising for the error made by the jeweller for the mis-spelling of Chafer’s name on the interior.